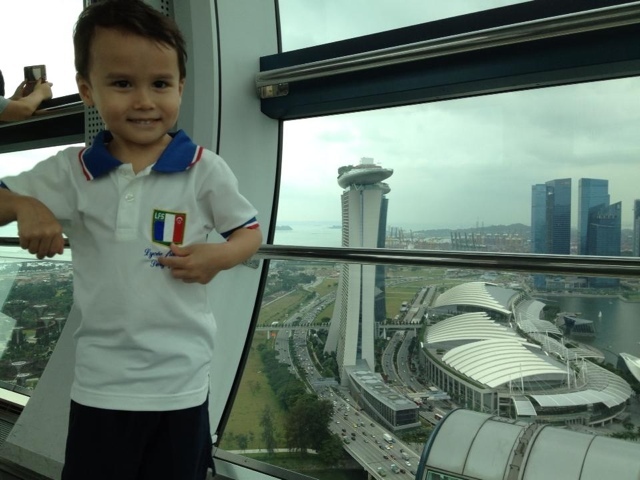 Across 2 Cultures - Cross-Culture Parenting and Lifestyle Blog: Awesome first school "report card"
About a week ago, Loic received his first report card from his school and I am proud to say that it was an awesome report with perfect score. To reward him, I told him I would pick him up from school and we will do anything he likes. 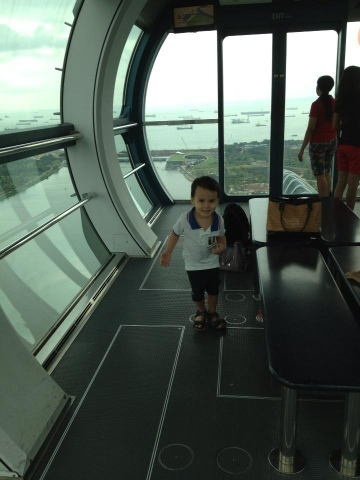 So today I picked him up, we went for prata for tea time and after that he said he wanted to go on the "big Ferris wheel" so off we went to the Singapore Flyer! He was so happy! He really likes the flyer and this is the third time that he is on the flyer. 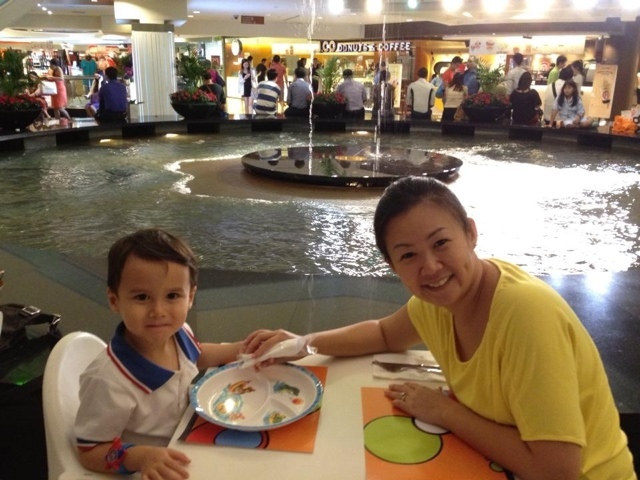 After the visit, we went to have dinner in Raffles city.